$5 off your next order. Apply the code and save on your next order. Enter the code during checkout and save 15% off. Free Shipping for an entire year! Join JR plus for only $59.95. Get a deal on your favorite cigar. 20% off Prestige Cigar Humidors. Woth over $85 - for you. 5 Free Undercrown Cigars Worth Over $40! $18 value - our gift to you. Free Macanudo 5-Pack with order. With Box Purchase, worth over $75. JR Cigars supply a huge range of fine quality smokables including cigars, domestic and imported pipe tobacco and accessories such as humidors and lighters. From the seasoned smoker looking for something truly unique to the fresh-faced who are developing a taste, JR Cigars has something for everyone across the US who is over 21 years old. The committed JR Cigar staff have a vast knowledge of tobacco and smokables of all tastes at the most affordable prices you can find on the web. They offer fast shipping speeds and free delivery on the majority of their products, you can even sign up for automatic shipping which guarantees a fresh batch of smokables delivered to your door on your chosen delivery date. 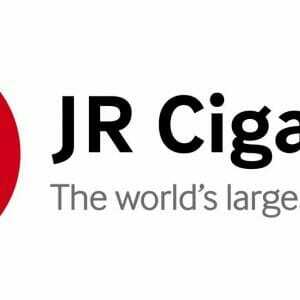 JR Cigars also provide a smokers masterclass blog of just about everything tobacco related, from how-to’s, to tips and even product reviews. They run the JR University for video tutorials and recommendations from their top tobacco connoisseurs. JR Cigars really are committed in delivering to you high quality cigars at unbeatable prices. They frequently run multiple Deals of the Week offers and discounts as well as Gift Bundles and Value Pack. You can sign up for a membership with JR Cigars for the latest news, exclusive offers and discounts, specials, events and more. The membership sign up is located at the very bottom of the home page in the right hand corner. When you have added everything in your order to the shopping cart, you can then click the My Cart button on the top right corner to take you on to your order summary, a short description of the product and quantity and a Sum Total Price. Below the Sum-Total-Price, there is a type box with the heading Redeem A Coupon. Enter your coupon code here and click the Redeem button next to the box. Then, just scroll back up to the top of the page and click Proceed To Checkout located on the top right, just underneath the My Cart button. For technical issues and support for your order, contact JR Cigars via the Online Help Desk form located on the Contact Us page, opposite the Online Customer Service form. JR Cigars happily accept any returns on a product as long as it is within the 30 days from the original purchase. Returns can be made as either a full refund store credit, or for a free product exchange (minus shipping) of equal or lesser value of the original products price. To return your item, simply send the product back to JR Cigars either via UPS or insured parcel post. You should do that along with the Returns Claim Form, which details the item shipped, the problem with the product and whether you want a refund or exchange. The Returns Claim Form will be located on the back of the invoice you received, and are also available to download. Any items or products won via the Beat the Dealer game app are prizes only, and are not considered “sold items”, meaning they cannot be refunded for an in-store refund credit or a product exchange. If a won product or items is delivered damaged or faulty, contact JR Cigars via the Online Help Desk form or with the Customer Service email address. Discuss your problem with them and they will put you on the right track to making you once again, a happy and satisfied JR Cigar customer.